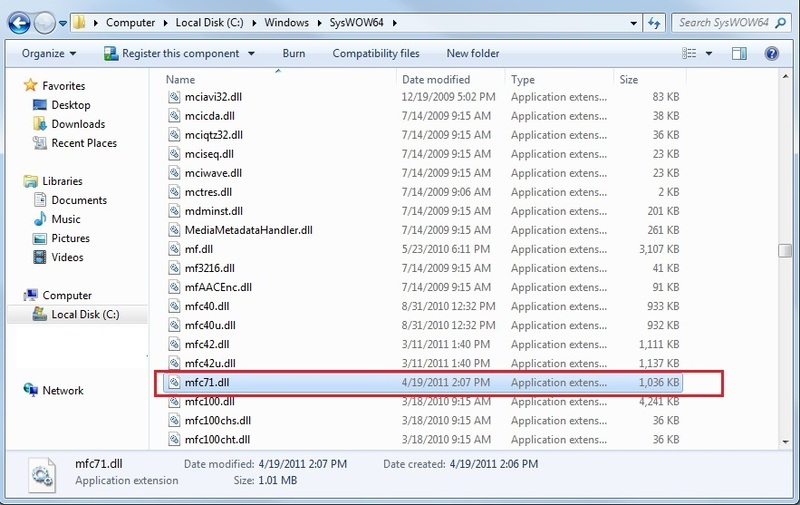 Troubleshoot: Missing File ��MFC71.dll�� - Announcements - CiB Mall Forum - Powered by Discuz! 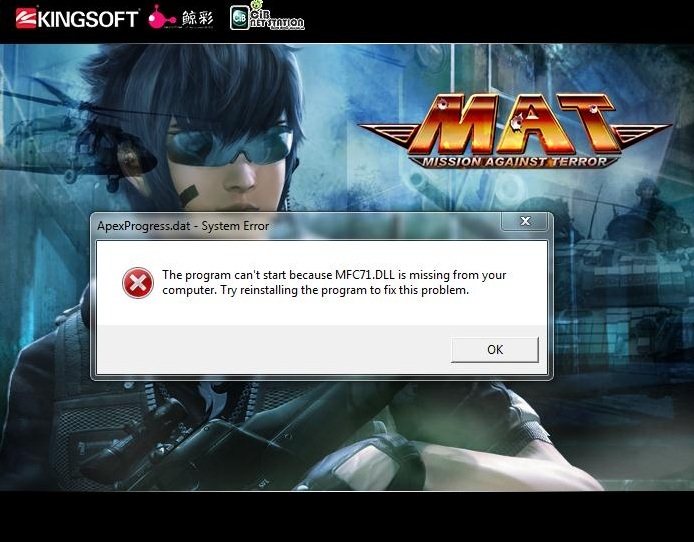 MAT official team hereby to inform that we have received minor reports regarding the problem of missing file in player��s computer, and now we are publishing this troubleshooting guide in order to solve the problem with all the players. 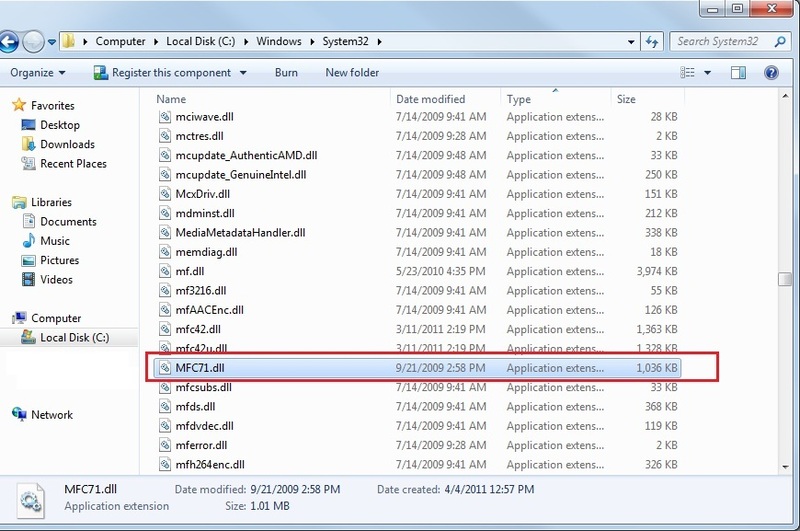 [Step 1]: Copy the ��MFC71.DLL�� file inside the folder of game client. 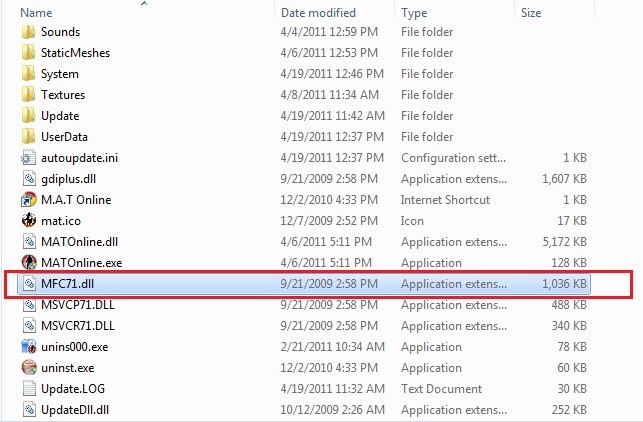 After you completed all the 3 steps, restart your computer and enter into the game again. Congratulations, the problem is now completely solved!